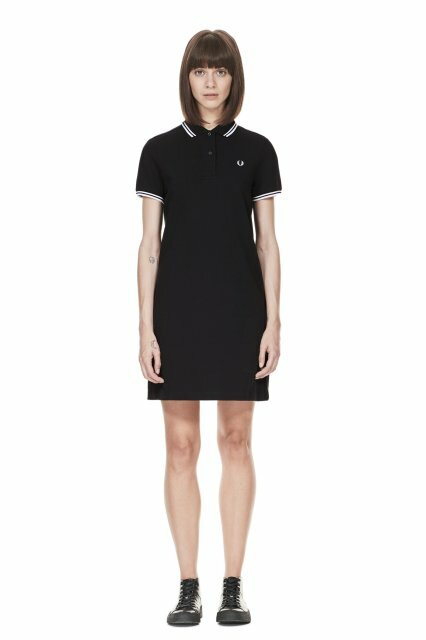 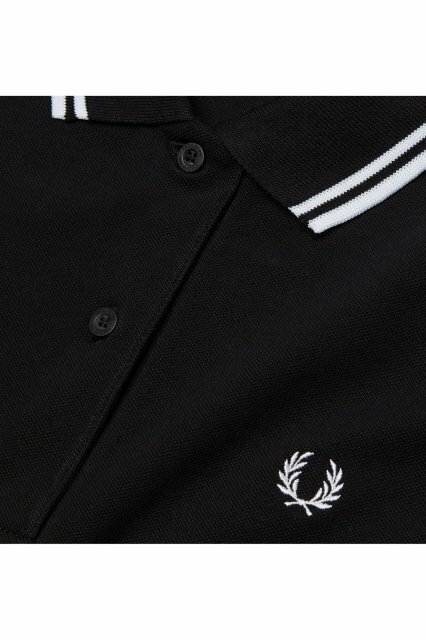 This little tennis dress is inspired by Fred Perry's classic polos! 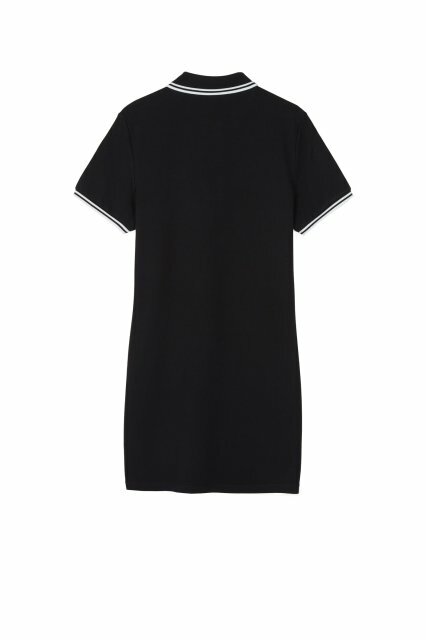 It has a touch of elastane to give it a little stretch for a flattering fit on most body types. 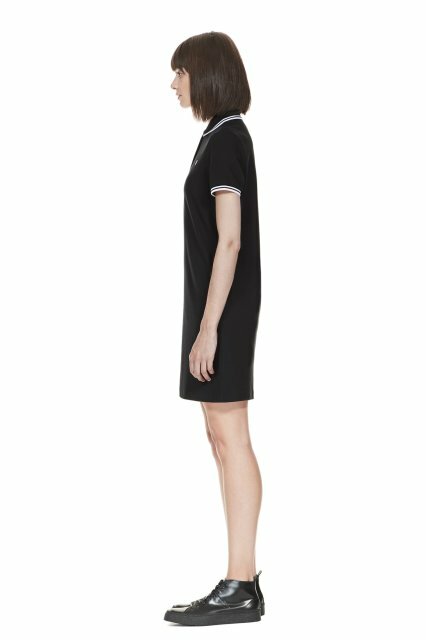 This black dress features twin tipped stripes in white on both the collar and cuffs, matching the white laurel embroidery on the chest.